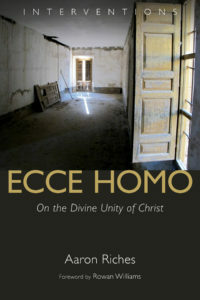 Now available in the INTERVENTIONS series: Ecce Homo: On the Divine Unity of Christ, by Aaron Riches, with a foreword by Rowan Williams (Grand Rapids, MI: Wm. B. Eerdmans, 2016; 301pp+). Forthcoming in May: A Theology of Grace in Six Controversies, by Edward T. Oakes, S.J., with a foreword by Bishop Robert Baron (Grand Rapids, MI: Wm. Be. Eerdmans, 2016; 270pp+). Few topics in theology are as complex and multifaceted as grace: over the course of centuries, many seemingly arbitrary distinctions and arcane debates have arisen around it. Edward Oakes, however, argues that all of these distinctions and debates are ultimately motivated by one central question: What are God’s intentions for the world? 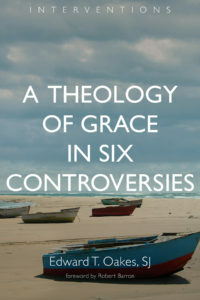 In A Theology of Grace in Six Controversies Oakes examines issues relating to grace and points them back to that central question, illuminating and explaining what is really at stake in these debates. Maintaining that controversies clarify issues, especially those as convoluted as that of grace, Oakes works through six central debates on the topic, including sin and justification, evolution and original sin, and free will and predestination. © 2016 CENTRE of THEOLOGY and PHILOSOPHY.